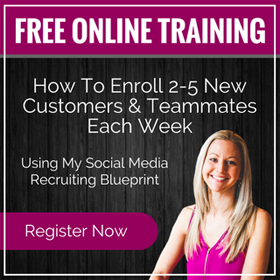 So you have your Facebook page set up correctly, your profile looks great, now it’s time to find some quality prospects on the biggest social media platform on the planet. If you didn’t get a chance to read my recent post on setting up your Facebook page, you can go here. 1) They are Smiling in their profile – look for those that are smiling, having fun. This shows they have a “can do” positive attitude. We all know that’s absolutely necessary for home business! 4) Their posts are positive, not negative or polarizing – take a minute to read through some of their posts. What they’re posting or sharing is really who they are, pay close attention here. 5) Active on Facebook – check to see when their last post is dated. If it’s 6 months ago, may not be the best prospect because they may not even see your message for months. 6) They are involved in groups or clubs – chambers of commerce, meet up groups, professional or business groups, hobbies, etc. Busy people are the best and they usually are interacting with lots of people which means they could have a very long prospect list. You want to search for people that, when you message them, the message won’t go in the “other” folder. Most people don’t ever check that folder, so they’ll never know you tried to connect with them. 1) Friends of Friends – look for your friends that have lots of friends, then look at their profiles with the qualities listed above. 2) Fanpages – you can message anyone with a fan page that has the message feature turned on. Don’t be shy, these are great people to reach out to because they’ve shown they are a leader and started a fan page and are looking for people to build their business. 3) Messenger App – you can even message people that are not friends of friends through the messenger app on your phone and it should still show up in their Inbox. 4) Businesses That Have a Personal Page as a Fan Page – some businesses still have personal pages on Facebook, which means everyone who has “friended” the business could be your friend as well, when YOU friend that business. Friend the business, then search through their friends for high quality prospects. Go to groups and look at the people who have commented on the posts in the group. Click on the “48 people like this” and you’ll have a window pop up that shows you all those people. Hover over the person, check out the profile, then on the right you can add them as a friend. Warning: Don’t do too many of these at once or Facebook might send you a warning or shut down your account! Just do maybe 2-3 per day. Even at that pace, you could have 900 new friends in a year…pretty sweet right? 4. Question – Have we met before? 7. Take away, then Question: any openness to making extra money? Your initial message needs to just be an invite to see if they’re open, no company info and NO LINKS!! Never send an unsolicited link…EVER! I saw your name in my newsfeed today. I decided to check out your profile since we have some friends in common and it looks like you know quite a few people and we are both here in (your town). I love the picture with you and your kids at the beach! Anyways I wanted to reach out because I am a professional recruiter for a major company based in ______ and we are currently expanding in the area looking for good people here _______. I don’t reach out to everyone but you looked super sharp and fun(insert a good compliment here). I have no idea if you are serious about making extra money right now but let me know if you have any open-ness, and if not – no big deal! “Honestly, it’s much easier to go over in person, plus I usually (using the word “usually” or “typically” implies that you do this all the time, very powerful) like to meet with you first to see if it’s a good fit. I have _____ on Friday open and ____ on Tuesday for coffee. Would either of these times work? Set a time and meet them face to face. This is still a relationship business and they need to know you’re a real person. These are just a few scripts to get you started. There’s a lot more valuable training on Power Prospecting on Facebook right here if you’d like to check it out. Did you enjoy this post on? Please let me know how it’s helped you by commenting below. 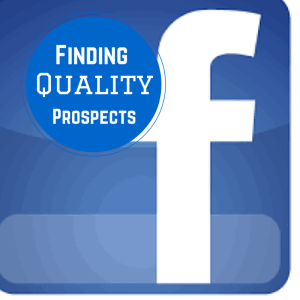 Also, share with anyone you know who is trying to figure out how to find quality prospects on Facebook. P.S. : I will be at a live event this weekend called Live the Dream in Austin, TX. 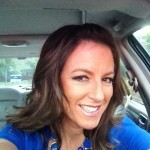 I look forward to sharing my notes here on the blog! If you’d like to check out the community of entrepreneurs that I’ll be hanging out with and what we’re working on, you can go here.